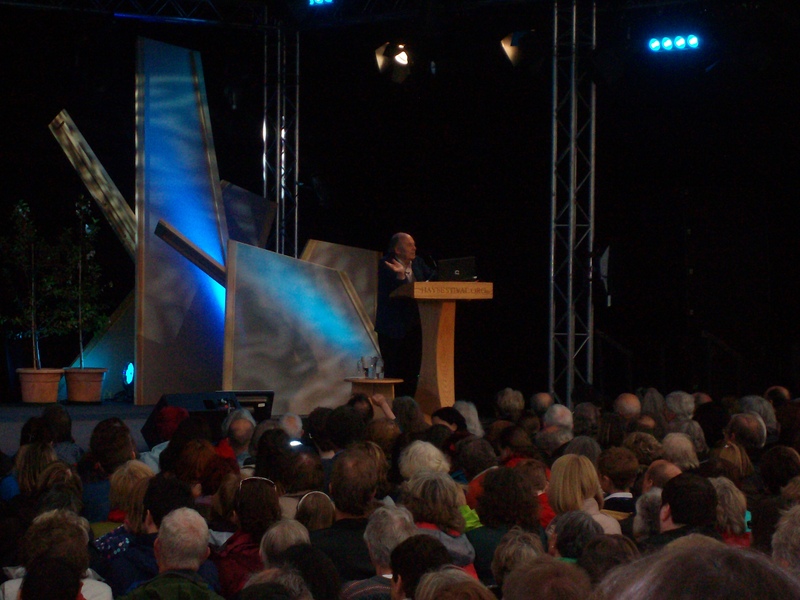 I have just arrived home from this years literature festival in Hay on Wye. It’s been 8 years since my first experience with the festival when I appeared as a very nervous first time reader alongside my fellow MA Creative Writing students. Even back then I was immediately drawn into the buzzing atmosphere of the festival. The love of the arts is everywhere you look, from the many writers, artists, politicians and presenters attending the event, to the street performers, gift stalls and readers avidly trawling the bookshops for that one special find. This year was no exception. On the first day of the festival we joined the queue for the Quentin Blake library lecture where the legendary illustrator talked about the importance of pictures in education. After an introduction, the 80 year old walked onto the stage to applause and cheers. My first thoughts as he began to speak was how much he looked like one of his drawings. A small man, with thinning hair and slight features, he spoke clearly with pauses here and there to gather his thoughts. For me, Blake’s iconic pictures bring back my early childhood memories of Roald Dahl’s stories. I can’t look at a Blake illustration and not see Dahl’s wonderful inventions of Matilda, Willy Wonka or the twits. He alluded to these when he talked of the importance of illustrations in encouraging young children to read. Dahl’s stories worked so well because of his collaboration with Blake and Blake’s ability to bring those characters to life in such a unique and effective way that they almost seem to leap off the page. For young, first time readers, pictures are often their first contact with books. When illustrations are done well they will work with the child to tell a story. Blake then talked of how art can be used as therapy. He was recently commissioned to do some illustrations to be used in hospitals both in France and the UK. Among these were childrens, maternity and mental health wards. For the children’s and elderly mental health patients, he wanted to promote the idea of fun and magic. So children rode dragons and elderly people swung from trees and played musical instruments. One particularly poignant picture featured two figures, presumably an adult and a child, walking up a hill overshadowed by a dark cloud. They hold hands and on either side of them, holding their other hand is a monster. The idea behind this, blake said, was that ‘there’s always someone there to face things with you.’ I thought this was a beautiful image that could really speak to a child when maybe nothing else would. The illustrations for the maternity wards in France and London, were quite different. And showed Dahl at his more serious and serene. Mother and baby appear to float in the sky, looking to each other as they are united for the first time. With his talk finished and questions being invited, I longed for someone to mention Dahl. If only to gain a sense of the world in which Blake had once worked and the man with whom he had spent so much time. Were the stories all true? A school child was the one to answer my prayers. He asked how long Blake had known him. ‘Since the late 70’s’ he replied, ‘and I knew him then for the rest of his life.’ He then alluded to his partnership with Dahl, how The BFG was his favourite work just because it proved so difficult and complex to complete that he felt he got to know Roald the best during that time. The final thought for the end of the session, was a comment by a woman from the back of the venue. This in itself clarified the point for the power if illustrations. I think Blake will always be an iconic figure for his unique interpretations of so many writers imaginary worlds. I know I would be honoured to have him work with me, if I should ever decide to write a childrens book.